Want a Texas vacation that covers a lot of ground and offers plenty to do? Arlington is your perfect daytrip vacation headquarters. Sure, there are plenty of things to do in Arlington to fill up one vacation without venturing outside the city, but sometimes you gotta spread your wings and see what the rest of the Dallas/Fort Worth region has to offer, too. So the million dollar question is this: When you want a Texas getaway that covers a lot of ground, where’s the best place to set up home base? That’s easy: Arlington, TX. We’re not just sayin’ that because we have to. We’re saying it because no place else offers a “right in the middle of everything” location, quick access to the area’s major highways from your hotel, and proximity to public transport options like the TRE – PLUS, you’ve got Six Flags Over Texas, Hurricane Harbor, AT&T Stadium and the Texas Rangers right outside your hotel door. DFW Day Trip Itinerary One: Just Park It! Never met a trail you didn’t like? Got five pairs of “favorite” running shoes? Generally dig on anything that can happen at a park? If this sounds familiar, check out this outdoor lovers’ itinerary: While You’re In Arlington: Go explore the 58-acre Southwest Nature Preserve, one of the region’s most intriguing green spaces and the site of some of the best panoramic views you can find in these parts. Also on the don’t-miss list: River Legacy Park, a “big dog” among DFW outdoor space boasting 1,300 acres of hiking, off-roading, kayaking, wildlife watching and more. Finish off with a round of golf at Tierra Verde. It’s gorgeous! When you’re ready for a day trip, head over to: - The beautiful Fort Worth Botanic Garden, where you can also access the 40-mile Trinity Trail system that winds along the banks of the Trinity River. [Travel time from Arlington entertainment district: 25 minutes] - Cedar Hill State Park, featuring 1,200 acres of scenic trails and gravel beach swimming [Travel time: 18 minutes]. - Magnificent White Rock Lake, a 1,015-acre “urban oasis” of hiking, biking, sailing and more - all in the shadow of Downtown Dallas. [Travel time: 26 minutes]. Your secret identity as a Smarty Pants was revealed the moment you started planning a trip to Arlington. Since the cat is out of the bag, why not get even smarter while you’re here? Learning, adventure, discovery, those all-important visits to the gift shop – and they all come with plenty of free air conditioning. Museum vacations have got it goin’ on: While you’re in Arlington: Check out the latest exhibit at the Arlington Museum of Art. It’s a jewel of an art museum and probably not at all what you’re expecting- in the best way. Afterwards, you can stroll over to Babe’s for a delicious fried chicken feast, or grab a beer at Hooligan’s Pub. You’ll also want to hit the International Bowling Museum. There’s nothing else quite like it. Later, you can go catch a far-out space show at the UT-Arlington Planetarium. The world-renowned Kimbell Art Museum. The building’s a stunner, and the art’s unforgettable. [Travel time: 22 minutes]. Start Kiddin’ Around. Arlington’s a great place to bring your kids, grandkids, or nieces and nephews. It’s also a place where grown folk can act like kids. We don’t judge – and we’ve got you covered coming and going with this kid-approved happiness itinerary: While you’re here in Arlington: This one’s a no-brainer. Our world-famous Six Flags Over Texas is a must, and in the summer, so is Hurricane Harbor. (Tip: Allow a day for each, especially on your first visit. You’re gonna want to stay and play.) After you’ve crossed those two off the list, buckle up. It’s time to discover the adventures of racing go-karts at K1 Speed. Later, you might try some speedball and a few rounds of miniature golf at Putt-Putt Golf and Games or some bowling at Alley Cats! 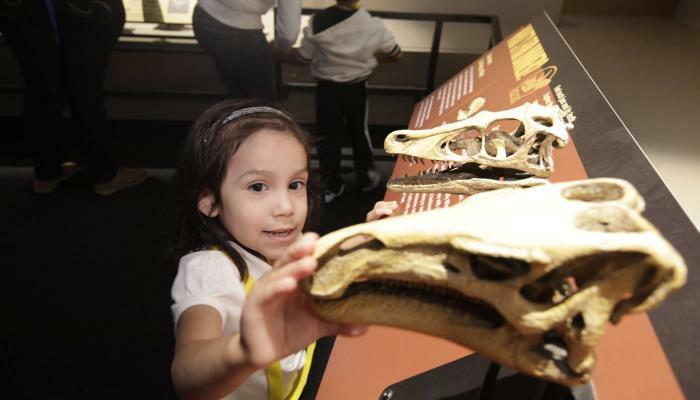 When you’re ready for a day trip, head to: - The Perot Museum of Science and Nature. Your kids will be blown away by the over-the-top interactive exhibits. [Travel time: 23 minutes]. - Klyde Warren Park, a delightful “deck park” in the heart of downtown Dallas that’s always filled with events and activities. Tons of affordable fun. [Travel time: 23 minutes]. - The Legoland Discovery Center featuring a lego adventure that allows you to help create new lego bricks! [Travel time: 20 minutes]. Need more possibilities? We’ve got a million of ‘em. Okay, maybe not a million, but we do have a lot. So what are you waiting for? Book your hotel and let’s get this party started. Note: Travel times are based on one-way trips from the Arlington entertainment district under optimal driving conditions.